US has seen a steady downfall in unemployment rates during the year 2014. As we prepare to press this article into publication, we hear some great news from the Bureau Of Labor Statistics, U.S Department of Labor. “Employment Situation”, the monthly news release added icing on the cake with revelation of unemployment rate for Feb 2015, which stood at 5.5 %, the lowest in years. So what really triggered such a massive downfall? A combination of stimulants actually. Factors such as strong economic growth & even job creations across sectors and industries are the “key” contributors. However, a recent study sponsored by the National Bureau of Economic Research has thrown light on some startling facts by giving credit to “Cutting Unemployment Benefits”. The study concluded that withdrawal of federal sponsored unemployment benefits extension in Dec 2013 resulted in 1.8 Million jobs being added in 2014. The E.U.C as its popularly known, was a life saver program sponsored by the federal set up in 2008 during peak of recession when thousands of jobs were lost. It provided additional weeks of unemployment compensation to those jobless claimants who had exhausted the regular state provided benefits. This program expired in Dec 2013, with no signs of renewal by the Congress which was of the opinion that the economy and jobless situation was stable and there was no need to burden the exchequer by reviving the E.U.C. It created an air of panic amongst the unemployed class, who were dependent on the monetary compensation to manage the basic expenses while they looked for jobs. Led by Kurt Mitman, a group of fellows at National Bureau of Economic Research, carried out exhaustive study during this restless period starting early 2014 & released the papers in January this year. The researchers used Local Area Unemployment Statistics dataset that reports county level data. They compared and analysed similar economic areas which had a variation in the unemployment compensation disbursed. Remember, during the study phase, there was a variation in the benefits offered in different states. The study points out that the average compensation weeks tumbled from 53 weeks to 25 weeks after the Emergency Unemployment Compensation program expired. 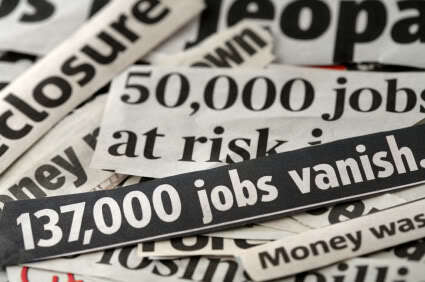 The study concluded that cutting the federal sponsored benefits had resulted increase in employment across the country. The monthly data from the BLS further strengthens this finding. More people applied for jobs since the cut that led to decrease in jobless workers across sectors. The unemployment rates have surged in a phased manner, improving month on month, beating post recession blues. About 295,000 jobless were added in the month of February 2015 & the unemployment rate stood strong at 5.5%, a decrease of 0.1 percentage point from January 2015. If you were laid off recently and scouting for jobs, apply for unemployment insurance that provides you weeks of monetary compensation to to help you manage day to day expenses. Congress voted to extend the Federal Emergency Unemployment Compensation (EUC) program through 2013 on tuesday (1-1-2013). This means, unemployed workers who are currently collecting federal jobless benefits can continue to receive unemployment compensation. Unemployed workers who run out of state benefits during 2013 are now eligible for benefit extensions. With the extension of EUC, more than 2 million Americans have been saved from hitting poverty. EUC is a 100% federally funded program that provides extension of unemployment benefits to individuals who have exhausted regular state benefits. The EUC program was created in the year 2008 to combat high unemployment rates and has been amended several times. Congress passed the American Taxpayer Relief Act of 2012 which includes the extension of Emergency Unemployment Compensation (EUC) program and temporary extension of Extended Benefit Provisions. The President is expected to sign the bill into law as soon as today, January 3, 2013. The legislation has not changed the number of weeks of benefits available under the EUC program, but has allowed the program to continue the same as before. The Congressional Budget Office has estimated that the two federal unemployment programs, (EUC and State Extended Benefits (SEB)) could have costed about $30 billion for a year long extension. The extension in EUC benefits is said to create 300,000 jobs and boost economic growth by 0.2 percent in the fourth quarter of 2013. If you are currently receiving EUC benefits, please continue claiming benefits weekly to ensure timely payment. Eligibility for EUC benefits depends on the date of your claim, your state and the state unemployment rate. Keep checking state websites for updates on benefit extension and further instructions. Update: As of January 2014, Federal EUC benefits have expired and the Congress has not approved the extension of these benefits yet. You have lost your job that provided all the financial support. Now what? Obviously this is not the time to doubt in your abilities and feel depressed. Take a step back and use job search links to look for a stable income. But the first thing you need to do is to file for unemployment insurance benefits. The initial 26 weeks of unemployment benefits just aren’t enough. An extension of unemployment compensation will let the benefits flowing to millions of unemployed workers in the country. This means that the jobless workers should be able to move to the next tier of benefits if they are eligible for extended benefits. So all hope is not lost. You can still keep a roof over your head and food on your table by doing several things. An extension of benefits allows a continuation of unemployment compensation payments beyond the standard 26 week period. Moreover, it would also help the people who are out of work and finding it difficult to find a new job in an economy in recession. • Emergency Unemployment Compensation (EUC): Emergency Unemployment Compensation offers an additional number of weeks that depends on the unemployment level in your state. • Extended Benefits (EB): Under Extended Benefits, the additional extension of benefits is offered once EUC is exhausted and the time taken to receive the additional benefits depends on the level of unemployment in your state. Your state should report you about applying for an extension just when your benefits are about to expire. However, it is safe to contact your unemployment office to know about an extension a few weeks before your period of regular benefits is complete. You will be asked to meet the same eligibility standards required for regular benefits in order to qualify for an extension. Congress voted April 15 2010, the last day for jobless workers to claim for extended unemployment benefits till in June 2 2010, President Barack Obama signed a law. This law restored the federal unemployment benefits to over millions of jobless Americans. Benefits are divided into tiers and the claimants should file for these benefits whenever they move into a new tier. In total, getting an extension for unemployment benefits makes it possible to receive up to 79 weeks of benefits (26 weeks of traditional benefits + 33 weeks of EUC + 20 weeks of EB) if you live in a state with a high rate of unemployment. Congress has decided to go on with the federal extended unemployment benefits programs which were set to expire on December 31, 2011 through February 2012. In every tiers of Federal Emergency Unemployment Compensation (EUC), the legislation has extended the availability of benefits for two months. Your State Unemployment Office website has every detail of when and how benefits will be paid as well as who qualifies for these extended benefits. The only way to avoid unemployment scams is to claim for extended benefits through your state employment office as you are not allowed to apply on third party websites, even if they say they will file for you. Typical unemployment scams include websites that offer to file for extended unemployment benefits or unemployment benefits for you. It’s important to know that you are the only person who can apply online for benefits.